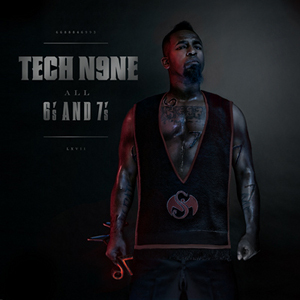 Tech N9ne’s All 6’s and 7’s is available on iTunes! The iTunes Deluxe Edition includes an exclusive behind the scenes video that features Tech N9ne during the making of All 6’s And 7’s. Watch Tech in the studio as he writes his lyrics while listening to the hypnotic beat of “Strangeland”, explain his newfound creative process to fellow artists, and witness the guest appearances as they work with Tech in the studio. This video features all of this and much more! Don’t miss out! Click here to get the iTunes Deluxe Edition of All 6’s And 7’s!